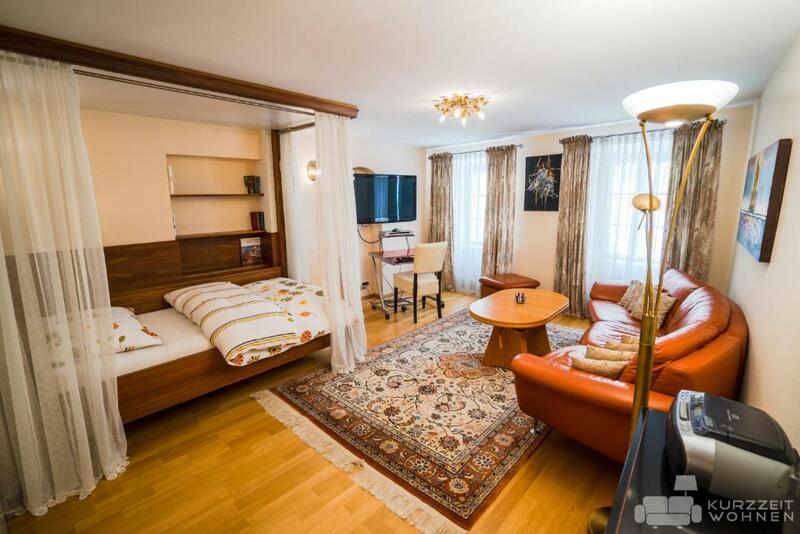 The apartment is spacious, very clean, and in a perfect location to visit all the best sites is Salzburg on foot. Location close to everything. Well appointed kitchen, washer/dryer, lift. Apartment was very clean and spacious, and close to everything. They even accommodated our 5am check out. Brilliant location. Can walk to everything. Charming old medieval street. Well equipped. Everything was perfect! Apartment is beautiful & very spacious for my husband & I, location is very central neighboring many historic sights. Bettina was very responsive & accommodating! God willing if we have a chance to go back, we shall definitely book this place and will definitely recommend the apartment to our friends! Was a lovely little apartment, clean and quaint. Close to everything. Thoroughly enjoyed my stay! The apartment was a dream! Never before have I had such attractive, comfortable, convenient accommodation!! Amazing location with it being right downtown. Also the communication was outstanding; I highly recommend staying here. The building was an old building that had been renovated so it had all the modern necessities. The location was central to Sakzburg in a quiet pedestrian street. The host met us at the appointed time and was very friendly and professional. The apartment was spacious and had everything you needed for cooking and living at the apartment. The apartment building and apartment were immaculate. Location was excellent: street ran into a square and then straight over a bridge to the old town. Very close to restaurants, supermarket and shopping but still quiet. Apartment was spacious and well equipped: washing machine and good array of kitchenware etc. Access by lift. 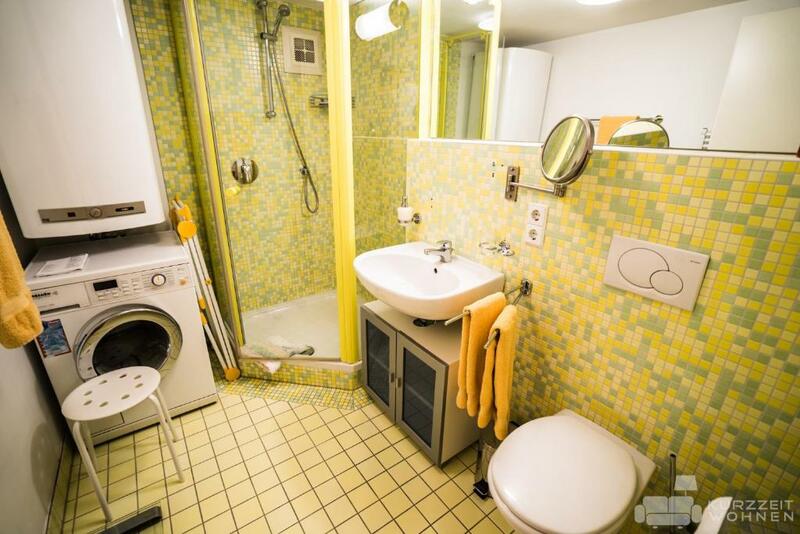 Lock in a great price for Appartements Steingasse – rated 9.2 by recent guests! 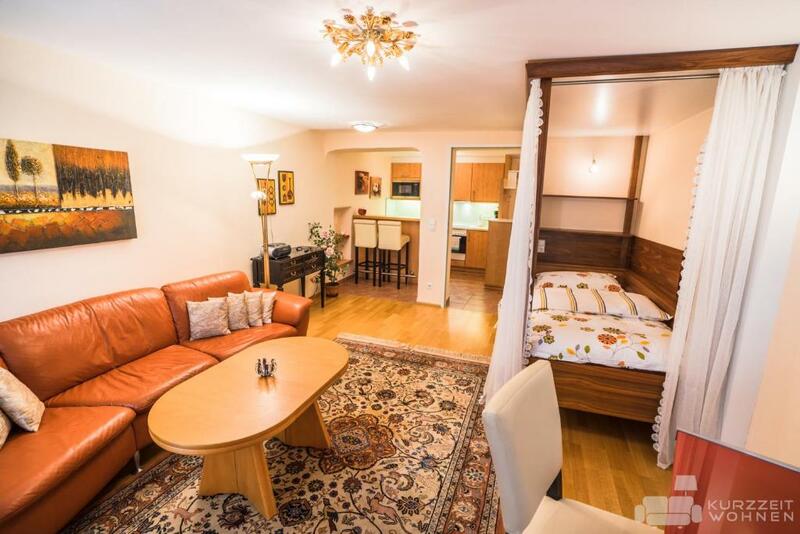 Located just 350 feet from the Kapuzinerberg and the Capuchin Abbey in Salzburg, Appartements Steingasse offers modernly furnished apartments with free WiFi and cable TV. 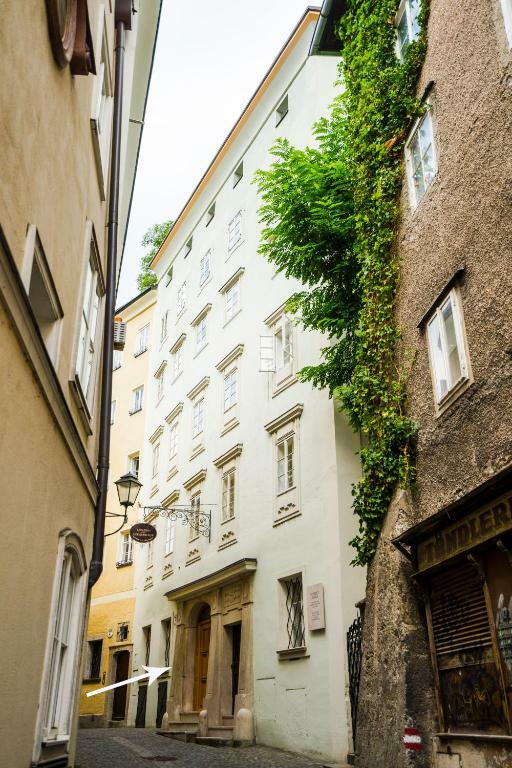 The famous Getreidegasse and Mozart's Birthplace are just a 3-minute walk away. 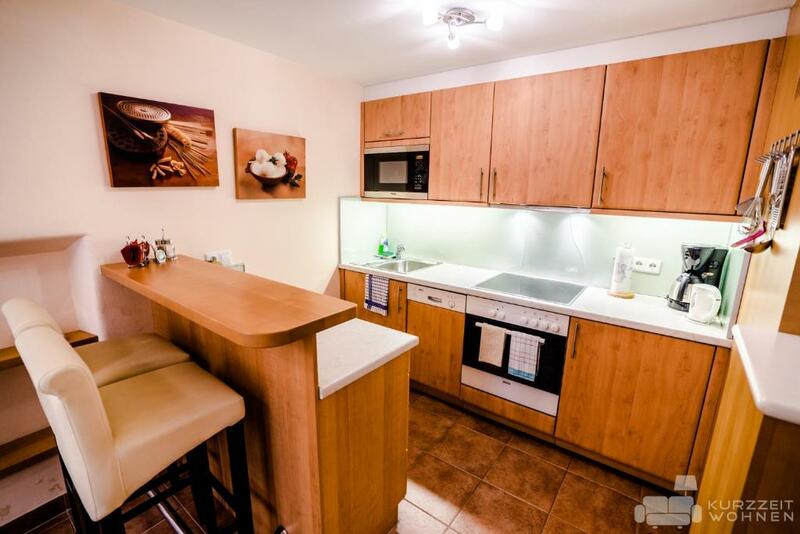 All apartments feature a kitchenette with a dishwasher and a dining area and a living area with a DVD player. 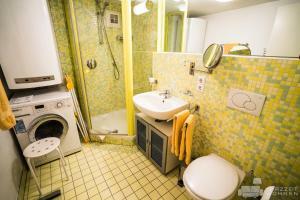 A bathroom with a hairdryer and a shower or a bathtub is standard in all Steingasse apartments. The apartment house is located in a quiet pedestrian area and features a elevator. 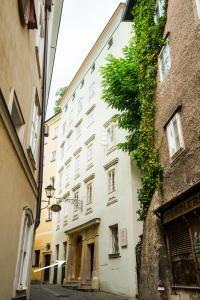 The Mozarteum University of Salzburg is a 5-minute walk away. When would you like to stay at Appartements Steingasse? This studio features a seating area, stovetop and electric kettle. Please note that children are not allowed in the apartments. This apartment has a electric kettle, microwave and DVD player. 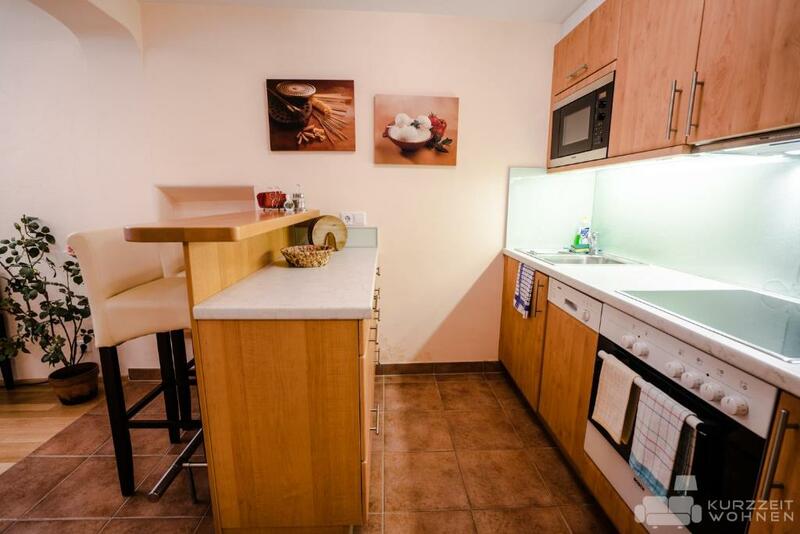 This apartment has a dishwasher, sofa and kitchenware. This apartment has a dishwasher, cable TV and stovetop. 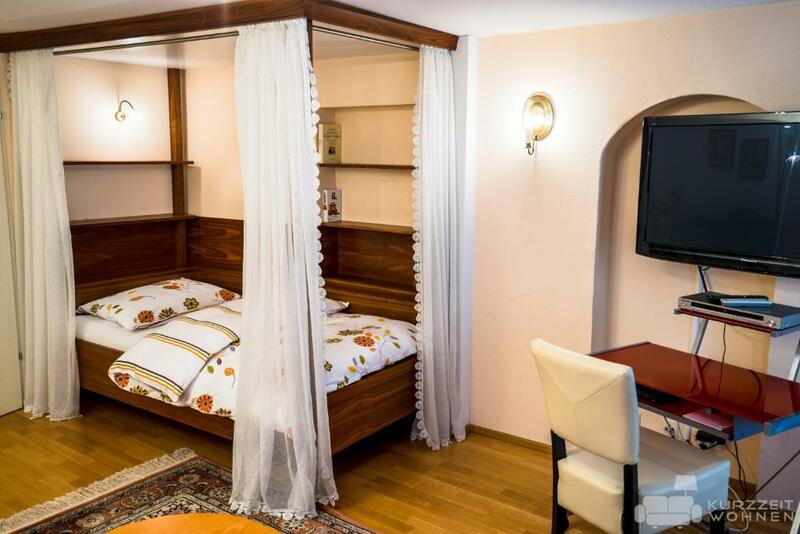 The apartments are located in a lovely restored house from the 16th century - directly in a pedestrian area of Salzburgs Old Town. The "Steingasse" is a pedestrian zone with no traffic. You are in the middle of everything. But due to the narrow street, there is no view. Within a 5 minutes walk you are in the "Getreidegasse". The location is also perfect for using the public transport facilities. From station "Salzburg Hanusch Platz", which is reachable within 5 minutes walking, depart all city buses which bring you to all destinations in Salzburg. The apartments are on the first and second floor. You can use the historic stairs. Or take the modern elevator. You find all kitchen facilities you need. Dishwasher and washing machine is also in your apartment. House Rules Appartements Steingasse takes special requests – add in the next step! Please inform Appartements Steingasse of your expected arrival time in advance. You can use the Special Requests box when booking, or contact the property directly using the contact details in your confirmation. After our first night a resident from the apartment under us came and complained we had been loud and kept her up until midnight. I was horrified at this but wondered how so, being we are a couple in our 50’s, had no music or tv on, and were just talking with a bit of laughter and were in bed before midnight. Obviously the floors are super thin and unfortunately we were paranoid for the next 4 nights, tip toeing and talking as quiet as possible. As much as we loved the apartment, this did put a downer on our stay. It was also one of the more expensive accommodation of our 6 weeks in Europe, but much of Salzburg accommodation was a tad pricey for something decent. Ie we just stayed for the same amount of time in Budapest, for €250 less. 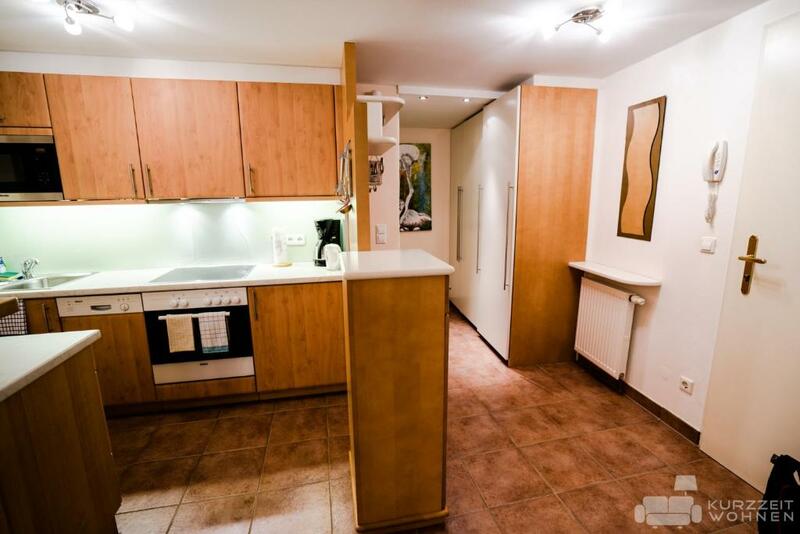 Good self contained apartment with everything you need. Great location. Very well appointed, quiet location. Smart tv. Good wifi. Would highly recommend it. Would be good to be supplied with dish washing tablets when there is a dish washer. Warm, cosy and comfortable. Quiet historic location but easy walking to all sites, good restaurants and shops. Nearby bar patrons yelling in the middle of the night. No fan for cooling down. A little difficult to get there from station with luggage, but if two older people can do it- shouldn’t worry many! The unit was so central, easy to access during the stay and comfortable. Hard to communicate with host and the staff. The front-desk/check in/check out lady didn't speak English and we didn't speak any German. We also didn't like handing over such a large CASH deposit immediately upon arrival.